Take a look back at the deal-making that kept the Seahawks from moving away in the 1990s, a crucial time in the team’s history. UPDATE (Oct. 15, 2018): Paul Allen has died of non-Hodgkin lymphoma at the age of 65. The story below was originally published Oct. 26, 2013. 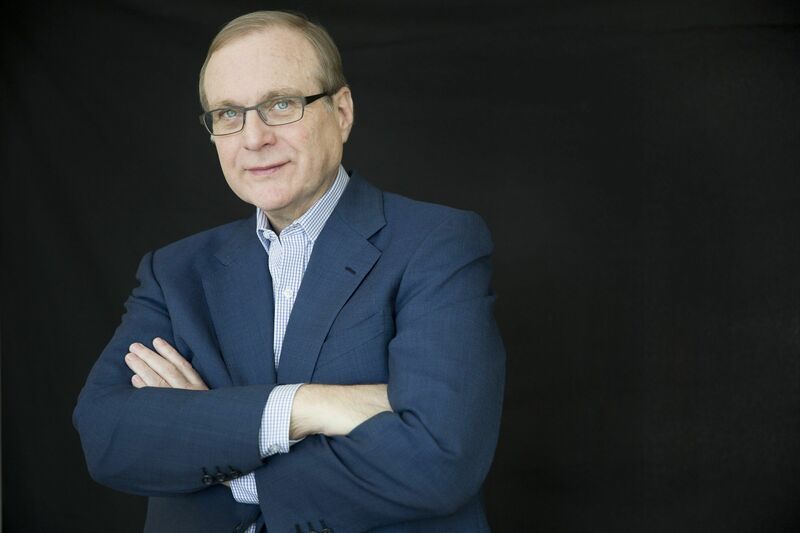 Paul Allen felt none of the usual motivations to buy an NFL team. Although he liked football, he had no burning passion for it. He had no childhood dream to fulfill, no midlife crisis to quench and he already owned a pro sports team, the Portland Trail Blazers. Allen, you could reasonably say, never wanted to own the Seahawks. Yet in a warehouse by the Ballard Bridge in June 1997, Allen took a seat in an easy chair and delivered a sales pitch to the rest of the state. Allen had agreed to buy the Seahawks from disgruntled owner Ken Behring, but the deal hinged on a make-or-break piece: Allen wouldn’t buy the team unless the public voted in favor of a new stadium later that month. All along, Allen told his campaign he would appear in one ad. The trick was pinpointing the time to unveil him. With two weeks until the stadium vote and attention searing, Allen’s campaign pulled the trigger. 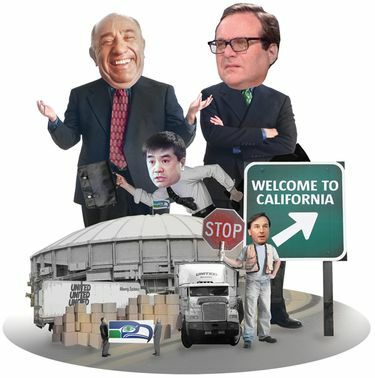 A rumor had started that Allen would still purchase the Seahawks from Behring, an out-of-town owner who temporarily moved the team to California in 1996, even without a new stadium. So Allen’s campaign sent him to the warehouse with a director and producer waiting. The commercial lasted 30 seconds. Allen didn’t come across as threatening or hostile, but there was no mistaking his message. One of the richest men in the world was asking the public to hold his hand. King County councilmember Pete von Reichbauer glances out large office windows. From where he’s seated high above downtown, he can see landmarks checkered across the city, but one stops him every so often. What’s hard to remember in this, the year of so much hype and hope, is that this season and many before it almost never happened. There almost was no Russell Wilson in Seattle, no seismic-inducing run by Marshawn Lynch, no trip to the Super Bowl in 2006. The Seahawks today are considered one of the model franchises in the NFL, the roots of which date to 1996 and 1997. This is a look back at that crucial time in the team’s history and the deal-making that kept the Seahawks from moving away. Von Reichbauer stood in the middle of the storm 17 years ago. When Behring decided he no longer wanted to own the team, he quietly reached out to von Reichbauer. He wanted him to gauge interest in potential buyers. Von Reichbauer looked up and down the Pacific Northwest, from Vancouver, B.C., to Eugene, Ore.
Those who had enough money to buy the team weren’t interested. Those who were interested didn’t have enough money. The Seahawks, von Reichbauer thought, might actually leave. By the end of his reign, Behring started receiving death threats. The threats caused enough of a scare that Sharon Nelson, Behring’s assistant, moved the team’s executive offices into her home by Lake Sammamish. It was a fast and ungraceful fall for Behring, a real-estate developer who purchased the Seahawks in 1988 after they had made the playoffs. From the beginning, Behring didn’t feel welcomed in the community. He bought a home and condo in Seattle but eventually sold both. He didn’t reach out to the old ownership group led by the Nordstrom family. Before long, he spent most of his time in his sprawling California home, where he stewed over the bad press he was getting in Seattle (Behring and his son David didn’t respond to multiple interview requests for this story). Some thought Behring bought the team as a key to future real-estate ventures in the Pacific Northwest. When his plans for grand developments were shot down, he recoiled. By 1996, Behring’s heavy-handed style had failed. Losses mounted. The five-digit waiting list for season tickets had long shriveled up. Free agents Marcus Allen, Mark Ingram, Rod Bernstine and Will Wolford all spurned the Seahawks. Behring said he felt ostracized and hated the way the Seattle media portrayed him. Worse, he didn’t think the Kingdome was suitable and wanted massive upgrades or a new stadium. When the Legislature paved the way for the Mariners to get a new stadium in 1995 but left the Seahawks in the cold, Behring was furious. Around a coffee table at the Woodmark Hotel in Kirkland early in 1996, Behring and his attorney Ron Olson laid out the dangers of the Kingdome. Tiles had fallen inside the stadium in 1994 and the roof leaked. The 20-year-old Kingdome, Olson argued amid rumors that Behring was planning a move to Southern California, was not only outdated but unsafe because of earthquakes. As two participants at the meeting remember it, Behring didn’t say a word as Olson explained the problem to Locke and the rest of the King County contingent. Then, at the end of the meeting, Behring finally spoke. On Feb. 2, 1996, Behring made those intentions official: He would load up the team’s equipment in vans and move the Seahawks to California. A Los Angeles Times reporter caught the city’s mixed feelings on a late afternoon ferry ride from downtown Seattle. The commuters erupted in cheers. Anaheim city officials announced their desire to build a new stadium for the Seahawks, although they were careful not to call the team by name. Los Angeles city officials also expressed interest. At Rams Park, the practice facility for the Rams before they left town, city workers cut grass and prepared the facility for immediate use. Behring’s decision to move the team came at a time of instability for the NFL. In the early 1980s, the league fought to keep the Raiders from moving to Los Angeles but lost an expensive court battle. Owners started realizing the advantage of new stadiums with luxury suites and club levels. The stadiums of old looked more and more like lost money. In a two-year window around Behring’s move, Houston lost the Oilers, Cleveland lost the Browns and Los Angeles lost the Rams and Raiders. All the while Behring kept saying the Seahawks weren’t for sale. But those involved in early negotiations realized something that made them think differently. He kept talking to them. In late February or early March 1996, von Reichbauer arranged a meeting with Allen’s inner circle. Bob Whitsitt, the general manager of the Portland Trail Blazers, Allen Israel, Allen’s attorney, and Bert Kolde, one of Allen’s closest friends, joined von Reichbauer in a private room at the Rainier Club to flirt with the idea of Allen buying the team. Behring wanted a buyer who could literally write a check on the spot, who didn’t need minority owners or approval from banks. Allen was one of the few people capable of that. Von Reichbauer, acting as a broker for Behring, knew he needed to convince Allen that he wouldn’t be used as leverage against Los Angeles or Anaheim. He needed to convince him that Behring was sincere in selling. Shortly after the Rainier Club meeting, Locke met with Allen in Israel’s downtown office. He wanted to ask Allen in person the question floating around: Would he save the Seahawks? In the meantime, the NFL threatened to fine Behring $500,000 and another $50,000 for every week the Seahawks practiced in Anaheim. Hours before Orange County’s “Welcome Ken Behring Party” in late March, he announced the Seahawks were heading back to Seattle. But if Seattle voted against upgrading the Kingdome or building a new stadium, the NFL would be far less likely to thwart Behring from relocating. Those initial meetings pushed Allen closer to buying the team, but he waded in cautiously. On Easter Sunday in April 1996, Whitsitt and Allen spent a good chunk of the day on the phone. Allen wasn’t optimistic. He feared the politicians were going to saddle the rich guy with the bill, despite what they were saying. Allen was leaving the country soon. The deal appeared stuck in mud. “We didn’t have an environment that seemed to be working,” Whitsitt said. That’s when Whitsitt threw out an idea. If Whitsitt could get Behring to agree to an option that would allow Allen to buy the team only if the public voted to help finance the new stadium, would he be interested? Allen was skeptical, but he gave Whitsitt marching orders: See if you can reach a deal. Once the deal for the option was signed April 20, 1996, Allen and the voters had 14 months to come up with a plan or he’d walk. That triggered a list of complications, each of which had to be maneuvered differently. For starters, Allen wanted an open-air stadium. That meant the Kingdome had to be imploded, which meant all the auto and home-and-boat show people needed a new place to operate. That’s how the exhibition hall became part of the deal. The $430 million project — a new stadium, exhibition center and parking garage — was the only issue on the ballot, so Allen paid $4.2 million for the election, which was done largely by mail. Originally, the vote was going to include just King County, but it became a statewide vote. Plus, many were still fuming over the vote for the Mariners’ new stadium in 1995. The public had voted against funding a new stadium, but the Legislature passed the measure anyway. There were important breakthroughs that eased the gridlock. Allen’s team advocated early on for advertising the stadium as a future home for a soccer team. Wally Toner, a political consultant, saw the rising popularity of soccer in the area and thought it could be the tipping point. As the inner workings were unfolding, the Seahawks still had important football decisions to make. Those decisions were muddied by the fact that although Allen had an option to buy the team, Behring still technically owned it. The 1997 offseason was one of the most pivotal in franchise history, not so much for results but for its message. At the Pro Bowl that year, Pittsburgh Steelers linebacker Chad Brown looked around the locker room for someone to trade helmets with, an annual tradition. Out of nowhere, Seahawks defensive lineman Cortez Kennedy approached Brown, helmet in hand, and asked him to swap. Brown didn’t say no, but he couldn’t have been more bummed. Brown, whom Sports Illustrated called the best free agent on the market that year, didn’t initially consider the Seahawks. But at 12:01 a.m., when Brown became a free agent, the Seahawks had Allen’s private plane waiting to pick him up in Denver. Once in Seattle, he stayed in a suite with a kitchen and multiple rooms. Brown signed with the Seahawks for $24 million. At the draft later that year, the Seahawks had the chance to maneuver to make two of the first six picks via trades. But Behring didn’t want to pay the extra money the picks were going to cost. The responses were chilly. The new stadium appeared a longshot. Allen didn’t flinch. He decided to make the moves anyway and, according to Sports Illustrated, agreed to spend $25 million even if he didn’t buy the team. On the day of the draft, Whitsitt signed a document on Allen’s behalf guaranteeing that he would cover the costs. The Seahawks then picked cornerback Shawn Springs and offensive tackle Walter Jones, two centerpieces for years to come. On the day of the public vote in June 1997, Allen and his campaign held a watch party. The early results were discouraging. Ballots from Eastern and southwest Washington arrived early by mail and put the new stadium in a hole. Earlier that day, Allen called von Reichbauer, the King County councilmember who brokered the initial conversation. He wanted to thank him for what he’d done, regardless of what happened. As the night rolled on, votes from the Seattle area started tipping the scales in Allen’s favor. When it was all over, the measure for a new stadium and exhibition hall narrowly passed with 51 percent of the vote. The taxpayers would contribute $300 million, Allen the remaining $130 million. The Seahawks were staying in Seattle. All these years later, there’s a feeling from many involved that the deal couldn’t be replicated today. Too many wrinkles had to be ironed, too many people had to compromise. At the center of the chaos, behind the scenes of it all, was Allen, a man with little interest in owning a football team but a strong interest in his hometown. Under owner Paul Allen, the Seahawks have made eight playoff appearances and have won 52 percent of their games overall. Under former owner Ken Behring, the franchise made one playoff appearance and won 42 percent of the time.